The News with Brian Williams, Now With Extra Leaning! STELTER: One year ago yesterday, Brian Williams embellished a story about Iraq on “The Nightly News.” It was noticed. Then other questions were raised. He left the chair. And tomorrow he is anchoring Iowa caucus coverage on MSNBC. You have been highly critical of Brian Williams. So, I was just curious. Will you give him a chance one year later? The issue here was Williams’ history of lies. But nobody so much as raised an eyebrow about the fact that Williams has been assigned a minder, a co-anchor, and it ain’t an NBC News correspondent. 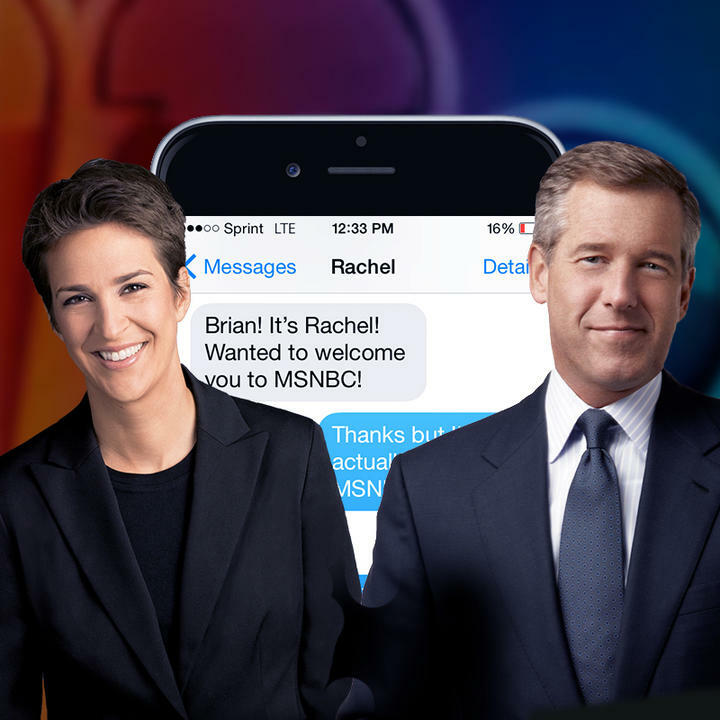 Brian will be co-anchoring with erstwhile Air America talk show host, Rachel Maddow. This would be roughly equivalent Bret Baier dispensing with Chris Wallace, only to make Sean Hannity his co-anchor. But you know as well as we do that Roger Ailes would never pollute his coverage of breaking political news by saddling his superb journalists with partisan co-anchors. As we looked in at MSNBC’s preview show tonight, there was Maddow (who has her own checkered reportorial history) expounding and intro’ing program blocks on an equal footing with Williams. Cut to opinion host Steve Kornacki who’s now paraded as an impartial political expert. Cut to incisive observations from opinion host Lawrence O’Donnell with pal Gene Robinson (quite a panel). Cut to opinionizer Chris Hayes to talk about Sanders. Cut to our man on the scene, opinion host Chris “two Cuban guys” Matthews. MSNBC’s entire prime time line-up, plus Matthews and Kornacki, had their moment in the sun. The Cable Gamer could tell you what all those opinion hosts have in common, but she thinks you’ve already sussed that out. 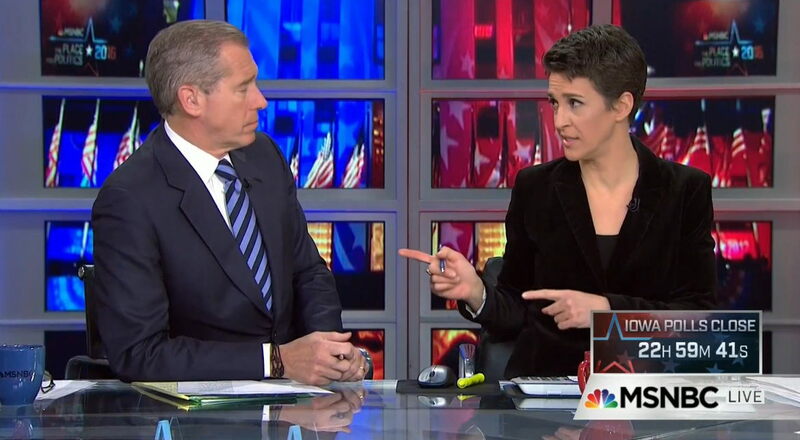 Long story short, this is Lean Forward news—with Brian Williams propped up to present a facade of “journalism.” Tonight’s coverage had the same relentlessly leftist tone that’s made MSNBC the failure that it is. It seems unlikely that Brian Stelter will ever get around to addressing this fraud, as his cohort Dylan Byers has already bought into the scam hook, line and sinker. But The Cable Gamer knows better, and so do you. Brian Williams’ duties at MSNBC will definitely extend beyond daytime hours. Williams and primetime host Rachel Maddow will co-anchor the NBCUniversal-owned cable-news network’s coming coverage of the Iowa caucus. Fact-check: Rachel Maddow is not a reporter, and hardly meticulous. She is an opinionizer and not a particularly good or honest one. She’s MSNBC’s Hannity, without the opposing views and nightly on-air debates. So MSNBC is using a partisan opinion host as a breaking news anchor to cover a political event in which she has taken sides. That’s what raised The Cable Gamer’s eyebrows, but it seemed to fly right past Mr. Steinberg. Also part of the anchoring plans is Chris Matthews, a lifelong Democrat who this year has more than just an ideological bias. He has a direct personal interest in the Democrats winning the election (and an odd dislike of Cuban males). Steinberg reels off several more names who will be reporting from various Iowa locations, including Chris Hayes. Another MSNBC opinionizer, i.e. not a journalist, meticulous or otherwise. 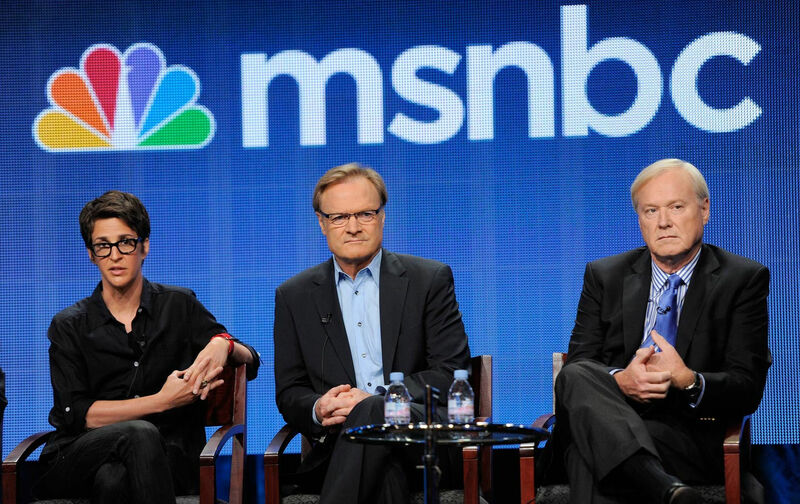 MSNBC is counting on this year’s Presidential race to help it draw attention and further define itself as a place for breaking news – particularly the political kind – as it works to move itself away from being known primarily for analyzing the news through a progressive lens. Does Mr. Steinberg know who Maddow, Matthews and Hayes are? How is it a move away from progressive news analysis to load up what is supposed to be straight news coverage with a roster of progressive news analysts masquerading as impartial journalists? 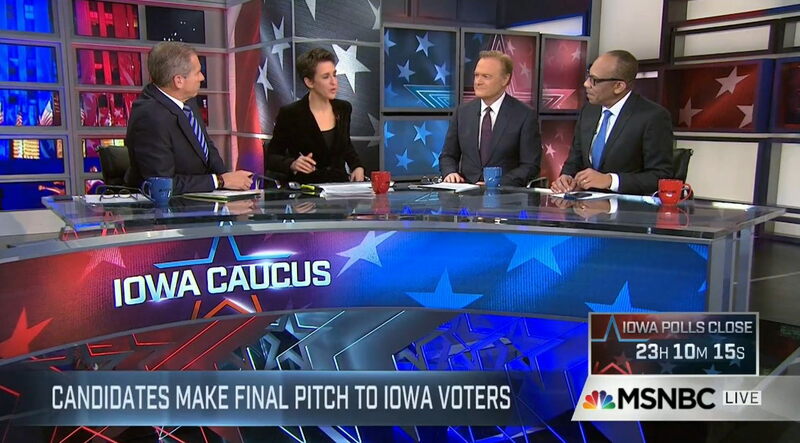 Who better to grill the Democrat Presidential candidates than “meticulous reporter” Rachel Maddow? Too bad Fox News, stuffy fuddy-duddies that they are, insist on having journalists moderate their debates. Just think, they could replace Megyn Kelly or Chris Wallace with Sean Hannity, or maybe Jeanine Pirro. The Cable Gamer suspects Donald Trump would approve! Just as Hillary welcomes the choice of Rachel Maddow to pitch softballs. And that choice was handed to her—no threats to boycott the debate required. This space has wondered how Brian Williams would fit in at MSNBC. With meticulous journalist Maddow bestowing her blessing on him (“What’s past is past.”) it appears he’s amenable to treating radio talk show hosts as if they were actual reporters. The paychecks will keep coming, he can take weekends off, and as long as the industry press remains clueless (or looks the other way) he can get used to leaning forward. It gets easier every day. Wednesday: The big guest of the day was David Brock, who was given a largely follow-up-free soapbox to mislead viewers about Hillary Clinton’s emails. John Ridley appeared later to talk about the meaning of genius. And we got interviews with Ari Melber and Steve Kornacki, both part of the channel’s progressive opinion line-up. I missed parts of this show but the online segments don’t show any right-of-center opinion or analysis guests. Thursday: A lot of breaking news and yet Roberts found a way to shoe-horn Ed Schultz in the stuck airplane coverage. Is he an aeronautics expert? Here’s a secret about how The Cable Game is played. When a guest has been booked, it’s a lot easier to put him on the air even when his segment has been cancelled than to find an actual expert. So Schultz, who was almost certainly intended to speak on some political issue, possibly the Hillary emails, instead feigned expertise on airplane matters. At least that way they can still plug his failing show. And how many viewers will realize that he was actually booked to inject progressive opinion into the non-opinion Thomas Roberts newscast? Also on Thursday: MSNBC’s Alex Seitz-Wald to opine on Hillary’s emails. He is a self-described “MSNBC political reporter,” a first-rate bit of camouflage. Alex’s pedigree in journalism includes writing for Salon and Think Progress, where he was one of the site’s editors. But at MSNBC, he’s just another reporter! See, they’re moving away from opinion. Come Friday, and it’s more of the same. This time we get three MSNBC opinionizers: Chris Hayes, Steve Kornacki, and a return visit from aeronautics expert Ed Schultz. All from the left. Plus a representative of the Urban League (left). And then another “MSNBC reporter:” Michele Richinick, an anti-gun advocate masquerading as a journalist. Are you starting to see a pattern? Unless there was someone I missed, in an entire week of MSNBC’s non-opinion newscast every commenter and/or analyst was someone from the left. No conservative or Republican viewpoints were represented. When that happens five days in a row, on premiere week no less, that’s not an accident. It’s their blueprint. 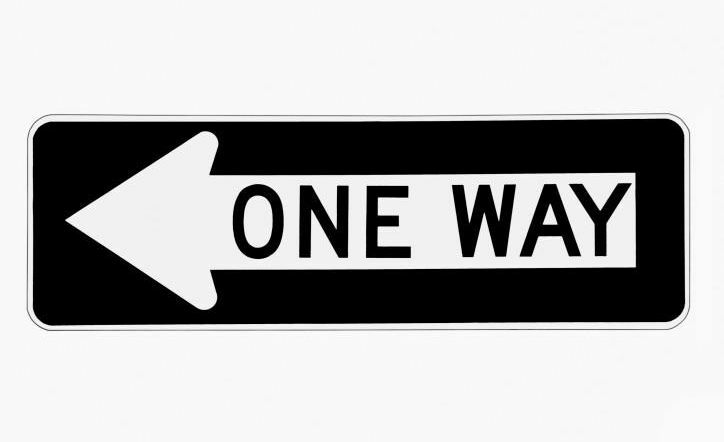 Just like the Lean Forward slogan that still appears on the screen during MSNBC’s “non-opinion” news hours. Opposite Thomas Roberts, Fox News managed to find time for two Democratic guests in just a single broadcast hour. That one hour on FNC had more opposing viewpoints than ten hours of Thomas Roberts. And Fox didn’t disguise their opinion guests by calling them “reporters.” Think about that the next time you hear the disingenuous Maddow or other MSNBC flacks deride Fox as a PR arm for a political party. Freud had a term for that.